Diabetics can juice fast using slices of bananas and avocados to balance the blood sugar level. Spirulina is also exceedingly beneficial for balancing blood sugar levels. The trick to balancing blood sugar levels is drink smaller amounts of juice timed 20 to 30 minutes apart. Fruit juices are better due to the fact that they have fructose a much slower release sugar than the glucose in carrots. But if you drink the juice slowly, your blood sugar levels can be maintained. A study published in the journal Diabetes Care in 2003 looked at 60 men and women with Type 2 diabetes who were taking diabetes pills. The participants took either 1, 3, or 6 grams of cassia cinnamon or a placebo, in capsule form, for 40 days. After this time, blood glucose levels dropped between 18% and 29% in all three groups that received cinnamon. However, only the participants who had taken the smallest amount of cinnamon (1 gram) continued to have improved blood glucose levels 20 days after they stopped taking it, for reasons the researchers didn’t quite understand. So add cinnamon to your fruit juices if you are diabetic to help control your blood sugar during juice fasting. I am on fruit+vegetable fast for the last 8 days, i am feeling great, I am a diabetic yesterday my diabetes was 110(fasting) I have reduces the medicines to 1/4 of actual dose and planning to leave the medicines in a day/two. Now I have entered 10th day of fasting and feeling fine I have left my medicines completely. I am Taking Juices of gaurd+tomatto+carrot+Spinach+Lemon+Oranges around 5 times a day appx 1.25 ltrs. in complete day. Today it is my 24th day of fasting. I am feeling great, the blood sugar(91 Fasting) and blood pressure(130/81) both are in control without any medicine and I am feeling very energetic. I am doing 45 minutes of exercise. My life has been completely changed I lost 5 Kgs. of weight. This is great news. I am trying to find a piece of research on a study that was done where diabetics reduced insulin resistance for 6 months after a fast. I wish I had a research team just for this one topic alone. What you have done is impossible with western medicine. Yet no one knows this can be done consistently. Well done on your 24th day, even better your 10 lbs weight loss that is amazing, you must feel great. lots of fasters forget to exercise, that is the key to keeping the weight of, you are moving in the right direction. Today is my 28th day of fasting, I am fine and going on with strength, My sugar is within normal limits(90 to 100 fasting). I am not taking any medicines. Some times when I am on tour I have no option but to take pure orange and apple juice but it is not rising my sugar,thanks God. I am doing free hand exercise daily morning and evening for around 30 minutes. Well done on getting your diabetese under control, this is verry impressive. That is so great. I hope other diabetics can gain hope from your success. I have been fasting for 4 days now. I stopped taking my pills first day Aug-3. My first day readings were, Test 141 at 8:30 am,Test 120 at 8:15 pm fruit juice and broth, Run for 1 hr.Aug 4, Test 119 at 7am, Test 154 at 10:45 am Test !56 with fruit juice Run and Enema.Test !56 at 2 :30 pm, run again Test 123 at 6:30 pm. Aug 5 ,Test 320 at 4 pm fruit juice, then Test 197 at 6:22 pm. Aug 6 out of bed 7:15 Test 108 Run juice and enema, 126 at 10 :14, half a juice Test 146 at 1:46, juice ,Test 201 at 6:30, now Test 134 at 8:30. I am trying to get off the Pharma- pills. I would like more info on how people did it and am I going at this right. My name is Bill D and I am 66 years old, VA hospital told me seveal years ago 5 that I had diabetes and this is the only pill I have ever taken. Today I have completed my 3st day of fasting, I am feeling great. My stamina is on highest ever, I am trainer and today I am on tour far away from my home, Since morning to evening I was standing and delivering lecture on different topics. the session lasted around seven hours and now I am not feeling any pain in my legs of any type of fatigue. A month back when I do a program for 5 to 6 hours in the evening I was unable to stand firmly and I usually felt very tired.This is an achievement I can again do a 3 to 4 hour program now. My stamina has gone up in all the fields, my thought process has improved very much. Previously I was feeling a little bit of impotence but today it is nowhere. Anyone who is reading this and is suffering from diabetes, please read material on net regarding fasting and diabetes and cure your diabetes. This site has helped me too much. I will go for 40 days fast and let you know all the facts. Now my 35th day of fasting is going on. Till date my weight has been reduced from 68 Kgs to 58.4 Kgs.I am feeling good. Today my blood sugar fasting was 93. I am taking nearly 1.25 litres of juice of Apple+Orange+raspberry+Squash+Tomato 4 to 5 times in a day.The effects of diabetes are no where. I am feeling very normal in the morning. Previously the morning was really painful, I usually feel very tired all the times. But now I am doing perfectly.The night sleep is very comfortable. For more than a month I have not taken any medicines. Thanks to advices given by this site. That is perfect blood sugar. “Yes diabetes is a curable’ Your journey to health will inspire others. Did you notice any particular juices spike yous blood sugar levels. Some said that beets was the only vegetable to spike blood sugar. How long did it take for your blood sugar to normalize. 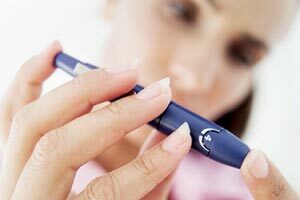 What was your blood sugar levels before the fast? How much juice did you drink per day and how? Other diabetics will follow your plan like a map. When I started the fast 37 days back my blood sugar(fasting) was 160 with medicines, I was taking Metformin(100mg)+Rosiglatizone(2mg) twice daily. It took me 3-4 days to normalise my blood sugar and initially I cut half the medicine and after 3rd day I completely left the medicines. Every second day I was checking my sugar. After 10 days of fasting my sugar stabilised perfectly and now it is between 90-100(fasting). Regarding beets it is true, initially I was taking beets but it has risen my sugar level a little bit but after 20th day no juice has any effect on my sugar. I am an office goer so I can not take juice in small quantities. So I take 200ML in morning, 300ML in afternoon, 200ML in evening, 300ML in night, and if required 200MlL late night (after 10PM). I mix Squash+Tomato+Spinach+Orange+Apple+Raspberry+Lemon. I also use to take green tea without milk or sugar. I have made daily details in excel formate and also writing my comments. Will pass on any one who wants. I will be always available to help anyone who wants to do the fast for diabetes. My Mail id is kazmi@godrej.com. Metformin was 1000mg instead of 100mg. Yesterday I have completed 40 days of fasting, I break my fast with 100gms curd, Now I slowly started eating raw fruits and vegetables with fruit juice, I will continue this regime for next 12 to 15 days. Then move to normal food but I will stick majorly only fruits and raw vegetable. Today morning my Fasting sugar was 103. I am feeling energetic and lost nearly 22 pounds of weight. I will pay my special thanks to my wife who has supported me in all these 40 days. Toady is my 46th day, My blood sugar this morning was 98. After the completion of 40 days, I have started taking Raw Apples(03), Bananas(03), Oranges(03), Papaya(200gms), Nearly 1 Kg in whole day+ Chickpea, Sprouts, Soybean with tomato+green chilly+Lemon about 250 grams. I am feeling fine. My BP is 135/75. More than 4 months gone without any medicine, I am feeling fine and energetic. I have started taking normal food, I am having good quantity of mangoes and other fruits in breakfast, lunch and dinner. Yesterday my sugar(PP) was 140. I would also like to know that if acute renal failure could be cured thru fasting. If anyone having this information pls. do forward. Thanks to every one including my wife for supporting me in this task. Now I can prove that diabetes is reversible. After my completion of fasting many people have started fruit juice fasting and they are doing excellant. Such great news. You have done well. Research conducted with human patients, mice, and pancreas beta cell cultures all point to a single threshold at which elevated blood sugars cause permanent damage to your body is140 mg/dl (7.8 mmol/L) after meals. So you are now at a safe point and it will only get better. Yes acute renal failure can be cured through a 30 to 50 day juice fast. It is a delicate balance detoxing within the capacity of the kidneys. I followed a Dr. Ehret who cured himself of Brights Kidney Disease with fasting and I also had major kidney problems before I was cured through juice fasting. I was just reading the above with great interest. I have type 1 diabetes for 17 years which I developed as a child of 5. Would the recommended fast above heal this? I adjust my insulin to my carbohydrate intake. Any help would be greatly appreciated. Till now hundreds of people have contacted me and I have supported them as much as possible. Many of them were in contact with me continuously doing there fasting. Many cured permanently so everyone is warmly welcome. I am also on bloggerspot go thru my readings and can do conversation there. On of my friend doing fasting in Dholpur, Rajasthan India. He was high diabetic and he started fasting 38 days back taking my advices on daily basis for the last 20 days his fasting blood sugar level is between 65 -7, he is feeling great. Anyone can contact him on his mobile…+919414303840. Now Mr… has completed 47 days, he has started eating fruits after the completion of 40 days. Now his blood sugar fasting is 70. Which is one of the best, he is eating 1 kg fruits daily(apple, oranges) with some sprouts and spices. Fasting blood Sugar is stable he has lost 12 kgs of weight. As per his own statement today” I am feeling great my health is in very perfect condition. Any one can contacts him on…+919414303840. Mr. Arvind Bansal has completed 52 days today, he has done 40 days juice fasting to cure the diabetes. Today his fasting sugar was 70 and PP was 95. he is feeling great he lost 16 kgs of weight in 51 days. Now he started eating normal food. Mr. Arvind, after completing 40 days juice fast is doing perfectly. Now he start eating normal food, his today fasting was 85 and PP 95. Best Wishes to Mr. Arvind. Everyday I am getting many mails and calls, I am providing maximum information I am having, till date more than 100 persons contacted me. Many of them completed their 40 days fast and doing well. They all are leading a diabetes free life with a lot of happiness. God bless this site for a great help to all needy. I am on day 6 of my first water fast. Just found your fabulous site, and I have a question about my diabetes with this fast – My sugars are ranging between 175-225, even with no food. Here are my specs. I have done several cleanses this year, and I eat a healthy, low-carb, mostly fresh food diet (little processed foods, little caffeine). Even so, I can’t seem to loose weight or control my diabetes. I have been reading about the benefits of fasting, and I just decided to “do it” on Sunday morning, and here I am day 6. Actually feel great. Had some heavy-headness and slight headaches the first few days, but nothing major. Not experiencing any of the “bad” symptoms of water fasting, have energy, mental capacity. Would like to make it at least 30 days to see if I can “cure” or reduce symptoms of diabetes. I am taking isotonic vitamins in my water – multi, OPC3, calcium and b vitamins. Also 10 drops of colloidal silver a day and some Himalayan salt. Yesterday I drank some green detox tea, which seemed to do some colon cleansing. I have also had a cup of vegetable bullion broth in the evenings (organic), and at least one cup of green tea daily, with a few drops of stevia and lemon/lime. i have been adding some lemon and/or lime juice to my water on occassion. Should I be concerned about my sugar levels? I am considering taking a small dose of insulin today to bring them down. My goal is to loose weight and cure my diabetes. Any suggestions would be welcomed and implemented immediately. I have seen this once before. So it is good to take you blood sugar med till you get to 140 . According to the ADA (American Diabetes Association), your highest high should be below 180 and according to the AACE (American Association of Clinical Endocrinologists), your highest high should be 140. Fasting commonly cures diabetes but there are a few times the process of healing is slow or does not heal. The body heals better on a juice fast compared to water fasting. Green juice shots glasses are good as no cal and lot of nutrients. Tom is right, the thing is, if you focuced on water fasting with diabetes you must be supervised every week by your doctor to make sure it is safe to continue on water fasting, however Tom is right on juice fasting apposed to water fasting, your meds should still be taken and as i said be supervised by your doctor on your fast. Rapid waight loss is gained by water fasting, but your condition far better suits juice fasting. PS…Once you start loosing the weight join a gym, fasting is a means to loosing weight…Its what you do after the fast that counts. Its almost 2 years and 8 months that I have done fasting to cure my diabetes. At that time I have lost almost 12 kgs of weight. I am maintaining the same weight till today and leading a perfect life .My diabetes is well in control. Please do contact me if any help is required to anyone.